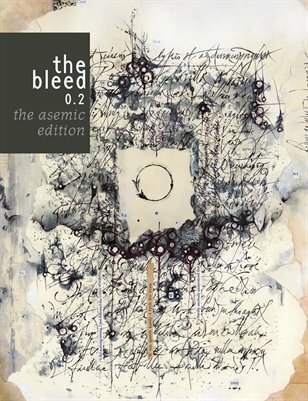 The Bleed 0.2 gathers the work of some of today's finest asemic writers — those who "write" without words, or at least, our normative conceptions of words — to create stunning visual/poetic works. Contributors include: Jakub Niedziela. Billy Mavreas. Tim Gaze. Marco Giovenale. Bruno Neiva. Vaiva Cyvaite. Keith Higginbotham. Massimo Sannelli. Alice Young.